A lovely resin pastel blue Christening decoration. 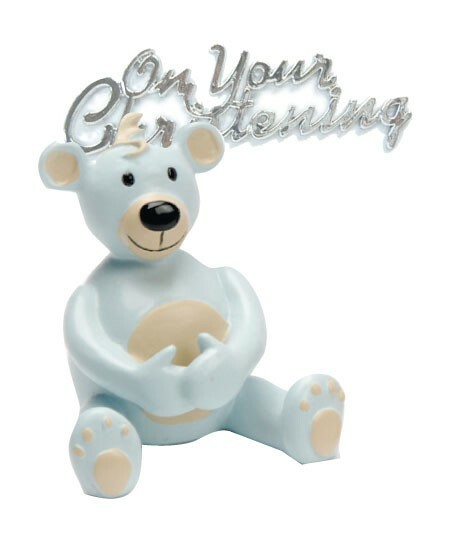 This is a cute resin teddy holding a silver coloured plastic plaque with the wording On Your Christening. Ideal topper for your Christening Day celebration cake to give the finishing touches to your special boy's cake. Non-edible.